What should the role of the designer be in today’s times of complexity, unsurity, and frequent change? What is Strategic Design, and how can it empower the designer beyond traditional practice? Are designers a group of technicians and artists who produce products and artefacts for short contracts? How can they fulfill more essential roles of big picture projects? Designers are often set into roles of minor problem solving and yet their training and expertise allows for a wider set of potential influence. Strategic Design thinking suggest that if designers could communicate and employ their skills more effectively, they can position themselves in order to influence a bigger picture. How can strategic design thinking produce innovative projects that affect big picture issues? Such are some of the questions the Helsinki Design Lab, a design research initiative funded by the Finnish government, posed throughout its advocacy for Strategic Design Thinking. The ambition of this research group was to identify and codify the design strategies and vocabulary developed within innovative case studies. Each of studies dealt with complex conditions, as many important issues today are entrenched in systems and networks of several intersecting elements. 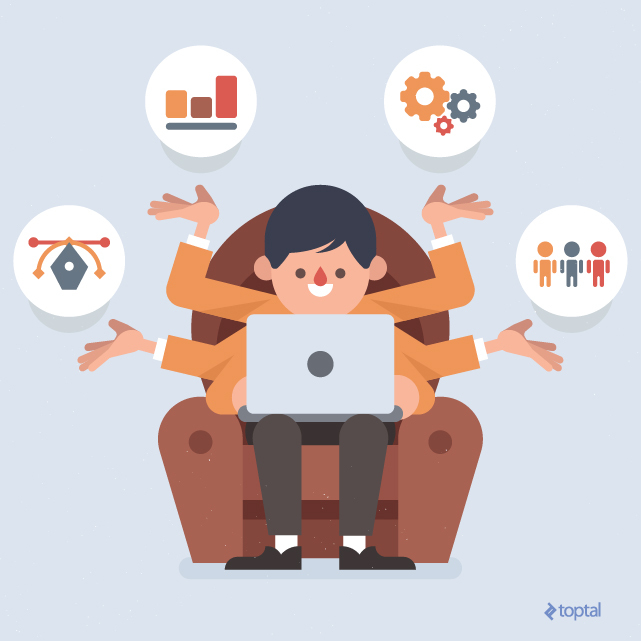 The intent of this article is to investigate how Strategic Design might be applied to the design and development interests of the freelance Toptal community. Strategic Design requires a certain vocabulary in order to communicate the values of the design practice. Much of these values have to do with becoming involved in the background and organization of projects, rather than the forming of the product, or outcome. Any successfully designed project, whether its an interface, building, or luxury car, is really a product of all of the underlying systems behind its making. This means the bureaucratic context,the financing, the company history, et cetera. Often the success of any design product is really a representation of the underlying organization. This synopsis of Strategic Design Thinking is presented as a vocabulary rather than set of tools, as there is no 10 step guide on how to be a good designer. Instead, how can designers understand their skillset, and employ it in such a way that can transcend traditional practice. Not there is anything wrong with simply producing minor products, but the designer who can influence big picture issues is invaluable. This thinking may apply to visual designers, as well as interactive designers, or developers . There is no 10 step guide on how to be a good designer. Although the Strategic Design initiative focuses largely on social issues and public projects, there were also case studies of businesses that showed major benefit from certain strategies. Some of the case studies which designers produced solutions for were: the transformation of the UK government digital services, a 90 day plan for the reconstruction of a flood devastated Constitucion City and all of its social infrastructures, or the forming of a new Danish business registry. Since Strategic Design largely considers a social moral obligations of designers to produce products for a greater good, it may not seem to apply in the context of a freelance design blog. Yet, much of the understanding of Strategic Design Thinking questions how designers can produce, or communicate greater value as a professional. Thus, more value could mean generating productivity for a client, solving a social issue, or generating cultural value. Strategic Design could apply to the freelancer designer as a way to offer value to their clients in a way no other designers may be able to. What is the Difference between Strategic and Traditional Design? Strategic Design Thinking is critical of the traditional methods of design that focus on the crafting of products and solutions to problems without investigating the surrounding conditions or context of a project. Often designers may find themselves crafting the details of a project that has a flawed basis, or is known to have little effect in a bigger picture. 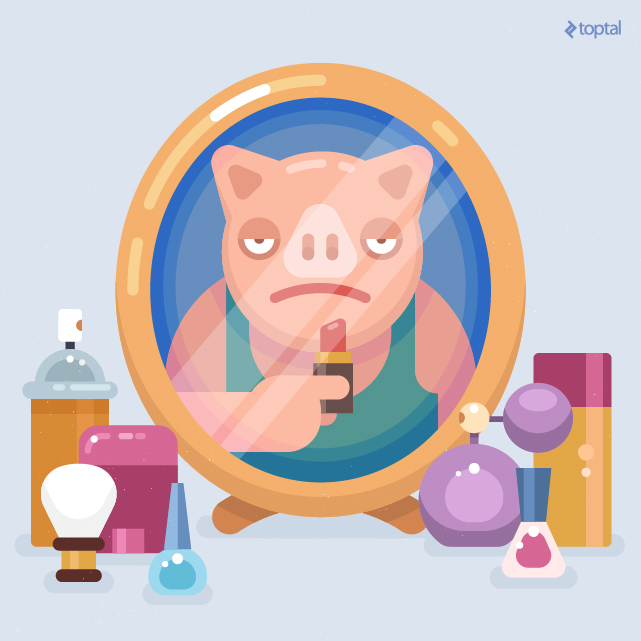 It is only through the process of the project that the designer begins to see the progression of decisions that led to a position where all that can be done is to apply lipstick to the pig. This is a result of how designers are often trained in the technicalities of how to solve problems, rather than how to question and understand the basis of the problem and questions being asked. As well, designers are also not paid to question the brief of a client, or enact the necessary investigation, but only to produce the product that is being requested. There are rarely opportunities for designers to question the briefs of their contracts - yet it can be the most critical point of a project. Generally, the designer client relationship involves the solicitation of the designer to produce as outcome. There is little opportunity for the designer to really question if the outcome is right for the circumstance, as well as ensure that the designer be paid at the end of the day. There is an anecdote of an architect who was hired to redesign a congested school. Rather than proposing a building, he reordered the schedule of the bell, and staggered the dismissal of classes. He saved the school millions of dollars. This suggests a potential paradox of criticizing a project brief in such a way, as the architect likely was unable to log very many hours. That being said, shouldn’t it be the duty of the designer to offer the truly honest solution, especially if it means avoiding the cost of an entire building? Now all of this is not to suggest that a designer shouldn’t understand how to produce the outcome and the necessary crafting of the details, but that the designer must understand how to design at multiple scales. Or understand how the outcome will affect multiple scales. The success of Apple under the guidance of Steve Jobs and Johnathan Ives is a perfect example. The duo was able to understand how minor details, such as the sound a button makes when pressed, communicates an overarching concept representing the qualities of the brand. The idea is hardly the beginning. Often the conception of a brilliant idea for a project is the easy part. The majority of the work comes from understanding how to actually go about producing an outcome. Specific vocabulary is essential for the strategic designer communicating the value of their work, therefore stewardship is specifically in place of such words as ‘execute’ or ‘implement’, which suggest simple step by step processes in the production of a project. The strategic designer must see a difference between the design of the product and its delivery into the world. The designer should the process of carrying the project through to reality as an opportunity to extend their value. Designers are not just the craftsmen of products, but stewards to ensure the performance of the project. The steward accepts the conditions of reality, and leads their client with surety that things inevitably change for better for worse, as their project will endure and be better for the change. The traditional designer may expect their product to work beautifully in the vacuum of a testing platform, but will ultimately be unprepared for unexpected obstacles, or new constraints on the path to realisation. The strategic designer’s ability to confidently pivot in times of flux or uncertainty will not only avoid the potential collapse of a project, but potentially open new design opportunities and outcomes. If composer writes a piece, and the violinist plays it, what is the 'music' of the conductor? Almost any project will have a whole series of competing values, potential outcomes, and skilled contributors that must all be coordinated together in order to form a cohesive vision for a project. Often the client, or other contributors do not have the time or interest to investigate and understand the layers of a project, or the potential values of all of the minor outcomes of a project. Historically, most often client see projects from the single point of view of money. Today however, the contexts of decisions and their respective outcomes have too much bearing on social or ecological impacts that underlying factors cannot be ignored. Designers however are very accustomed to the necessary balancing acts required to negotiate budgets, platform constraints, aesthetics and performance. The designer must act as the ‘glue’ necessary to bind the separate elements in order to deliver a collective vision. The notion of role of the glue might be also be analogous to the role of a conductor in the symphony. Some may ask, what is the ‘music’ or ability of the conductor compared to the skilled musicians or the composer of a piece. Yet it is the duty of the conductor to understand the technicalities of playing the violin, as well as the intent of the composer in order to bind the two elements in order to produce the magic of the symphony. Often the designer does not necessarily need to perform as the skilled technician, but instead the curator who can see the values of all the constraints, conditions, contributors and outcomes. One of the Helsinki Design Lab case studies was the improvement of user experience for the Danish business registry, successfully resulting in saved money and time without entirely overhauling the infrastructure set in place. Although the obvious outcome for a casual observer is the project increased efficiency, there were several small outcomes that the designers curated in order to produce even greater change beyond the brief. During the initial studies of the problem at hand, the contracted designers Mind Lab produced several hour long audio recordings of their interviews of studied users. The recorded negative experience of users were then edited down into snippets of a couple minutes, which were just enough to convey an emotional understand of the issues at hand. These files were so versatile that they could be played in meetings, design charrettes, or workshops always to great effect. The recordings have since gone on to provide a useful archival tool for future similar projects. Now, this outcome seems minor to the client who sees in the end a smoothly running service. Yet this supplementary outcome was an essential tool and will provide future benefits. This is the result of the designer’s ability to curate the quality of the content at a minute level, while understand the potential of the big picture implementation of the outcome within the context of the complicated project. Quite often the vision of a project aspires beyond the resulting product for the strategic designer. This is not to say that the artefact is unimportant, but that it acts as a hook for more strategic outcomes than itself. In Dan Hill’s book for Strelka Press, “Trojan Horses and Dark Matter”, he identifies the Strategic Design outcomes for the Low2No architecture project that the Finnish innovation consultancy Sitra worked on. Essentially, the Low2No building is a project that aspires to produce strategic design outcomes which may be replicated in the future following its completion in order to extend the impact of the project beyond itself. In summary, the building project requires several changes to policies and infrastructures that are so entrenched that they required significant incentives. Some of these potential desired outcomes were the intent to provide new futures for the Finnish timber industry, the development of new tenancy models, the construction of communal environments, and implementation of ‘smart’ city services. The ambition was to use this first building as a model for hopefully repeatable outcomes in the future. However, these outcomes hinged on the ability to make the building out of timber, which conflicted with existing fire codes. These fire codes would be difficult to change without the real pressure of the project at hand. The recent develop of new timber technology made these codes obsolete however, thus the codes were changed under the pressure of the project and the building was carried forward. Although the matter was a construction detail which would often be critical for most building projects, it in fact allowed for a much bigger project to unfold. Therefore, despite the importance of the design thinking required to carry out the tangible first building, the strategic design thinking formed a greater approach which will create a much wider network of systemic change in Finnish construction. Now, this case study may seem difficult to apply to most freelancing web developers/designers who would prefer to carry out simple contracts, or doubt that their clients would be interested in hearing the designer’s desire to implement more general social change. Yet, consider that your clients may have the same underlying constraints or ambitions that require a strategically implemented Trojan Horse to undertake. 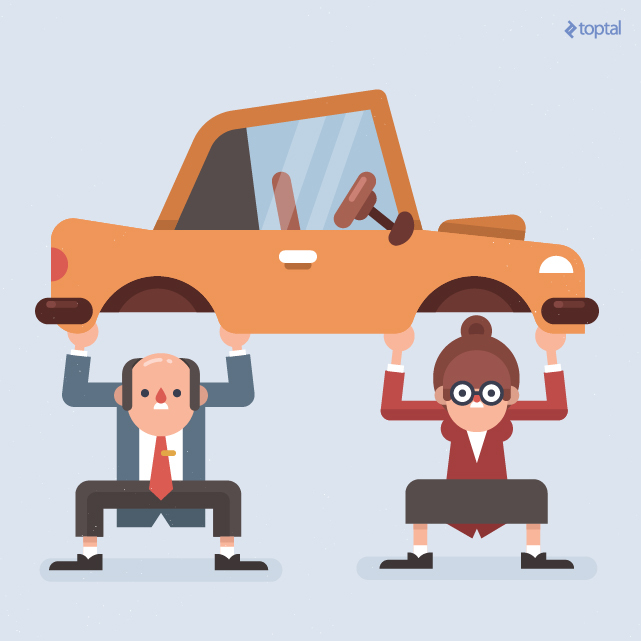 How can a website be representative of a wider organizational culture within a company? What is the benefit of innovative practice if no one can follow its lead? Once a successful project is implemented, how might its development be communicated to the world, such that its impact can continue to grow? For the projects that are carried out within complex contexts, how can the deep understandings of a background be translated to future contexts? Perhaps through the forming of educational precedents, can the value of the designer continue to be reinforced. If the complexity of an undertaking, as well as its systemic effect is made clear, the skillset of the designer will be further understood by future adopters or clients. As well, perhaps the designer will be able to re-apply their own strategies to future clients, and such the legibility of the past project is essential to explaining the confidence and ability of the designer for the conditions. Especially within a network similar to Toptal, perhaps the ability to share and represent work can lead to future collaboration, or further progression of outcomes and ideas. The Strategic Design Vocabulary is not necessarily a step by step guide on how to be a better designer, but it intends to develop a thought process in questioning what the designer can offer beyond the production of outcomes and artefacts. How can we assert the value of the profession as something not just necessary, but fundamental to the process of innovation and cultural generation. Home › Blog › What Is Strategic Design Thinking and How Can It Empower Designers?